There are thought to be ~9,000 Tibetans living in the United States and 7,000 are estimated to live in New York City. However, this is hard to verify since the US Census data on foreign born residents groups Tibetans with Chinese and does not provide separate numbers for Tibetans living in the U.S. Regardless of the actual numbers there is a large Tibetan community in Jackson Heights Queens and this means there are restaurants selling Momos, the Tibetan dumpling. For my first Momo eating outing I wanted to try the two restaurants, Norling Tibetan Kitchen and Phayul, described in a NY Times article from February 2012. The article didn’t provide addresses for these places and several online sources provide incorrect address information for them. As a result I walked about 20 blocks trying to find these places (correct directions are mapped below). Norling Tibetan Kitchen is on a really busy block but was empty and had a C rating from the NYC Department of Health Restaurant Inspection team. So I quickly moved on to Phayul. The restaurant is tiny and is located on the second floor next to a beauty salon. Phayul has a counter that seats four people and five tables that seat another 20 or so people. There is a open kitchen on the other side of the counter where you can watch them hand roll dough and hand stuff the Momo. Service is pretty slow and the kitchen seems more focused on fulfilling the takeout orders than dine-in orders, but they also seem to be making dumplings to order. The Dumplings – Phayul sells beef, chicken and potato Momos and since I don’t eat beef or chicken (pork-aterian) I went for the potato Momo. 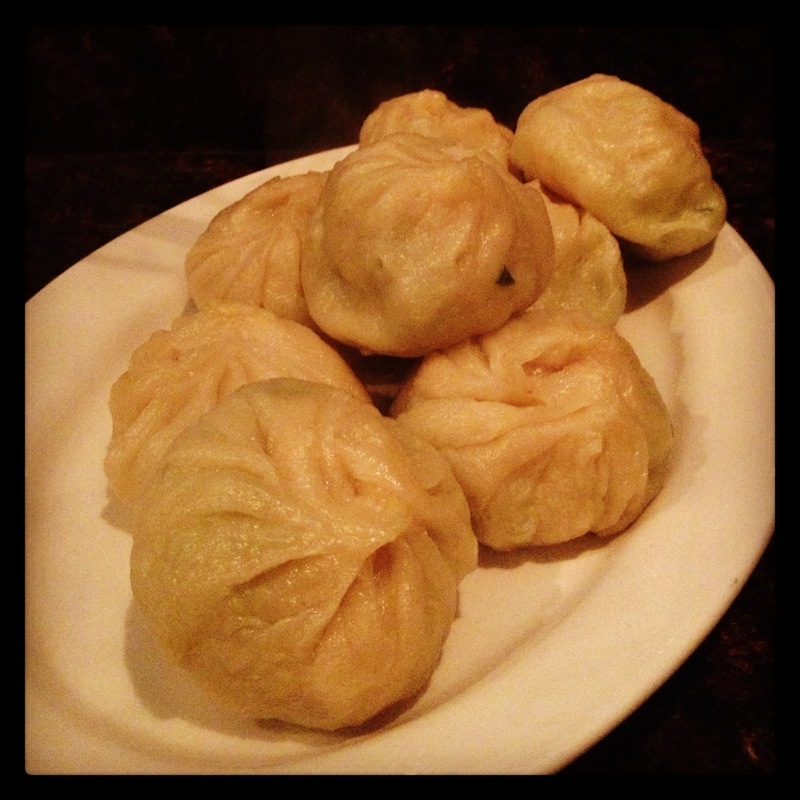 Tsel momo – is a steamed dumpling filled with mashed potato, carrots and spinach. The wrapper has a thicker, breadier texture than a Chinese style dumpling, making it more of a bun. These Momo have a excellent savory flavor. I am not sure what they were seasoned with, maybe some garlic and ginger in there, and the waiter wasn’t about to give up the information. 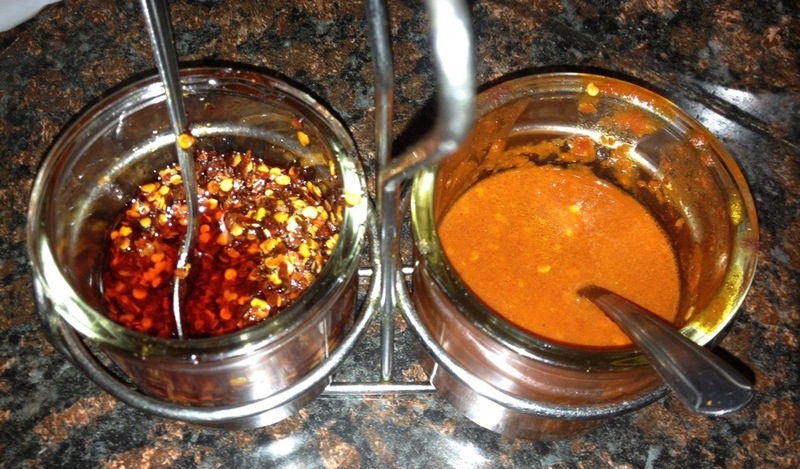 The Dipping Sauce – the dumplings come with two hot chili sauces, one that is pure chili oil and seeds, and the other that has a creamier base, but is still raging hot. Location. Several online sources provide incorrect information for these restaurants. MenuPages lists Norling as being between 84th and 85th Street on Roosevelt Avenue, but it is really between 74th and 75th. Google Maps lists Phayul as being on 74th street but more precisely the restaurant over looks 74th street from the second floor, but the entrance is actually around the corner on 73rd road, midway down the block. From midtown – Take the 7 train to the Jackson Heights 74th Street Stop or the E train to the Jackson Heights-Roosevelt Ave stop – both routes take about 20 minutes from midtown Manhattan. These subway stops are connected and the exit puts you on the corner of 74th Street and Roosevelt Ave. This entry was posted in Momo, New York City and tagged Momo, New York City. Bookmark the permalink.